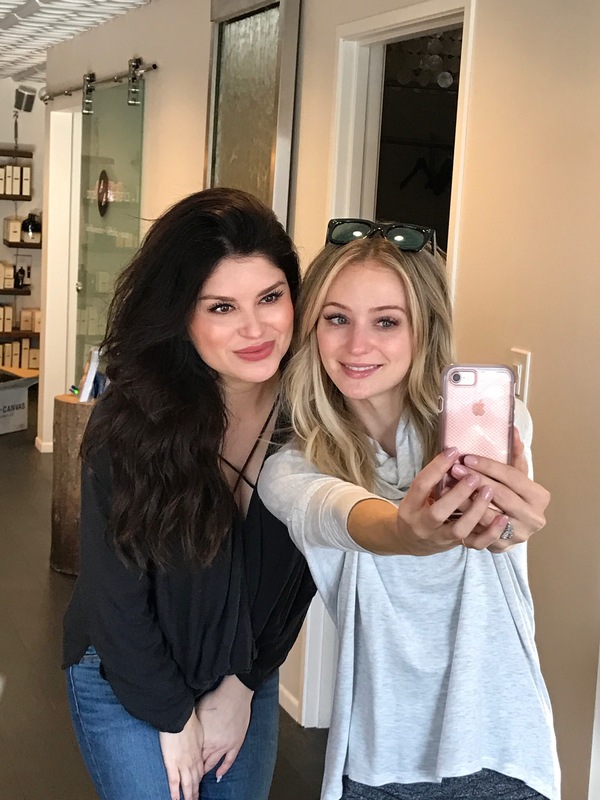 Upon visiting Angel, one of the top aestheticians in Denver & contributor on Denver’s morning show, my skin was dry, dull, and felt lifeless. I just recently switched medication causing me to break out on my chin area. 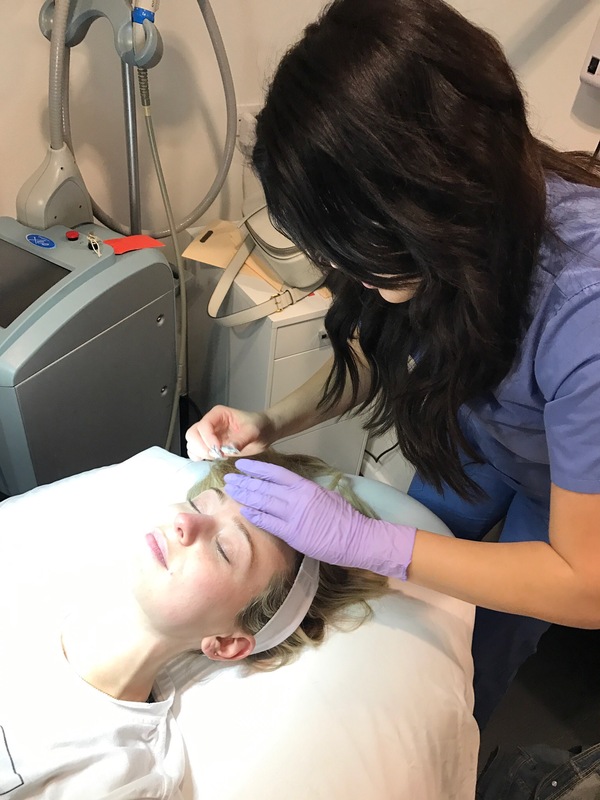 Between the small, lurking purple marks from past breakouts and the fine lines I was beginning to notice in the mirror, I knew I needed to see a professional. 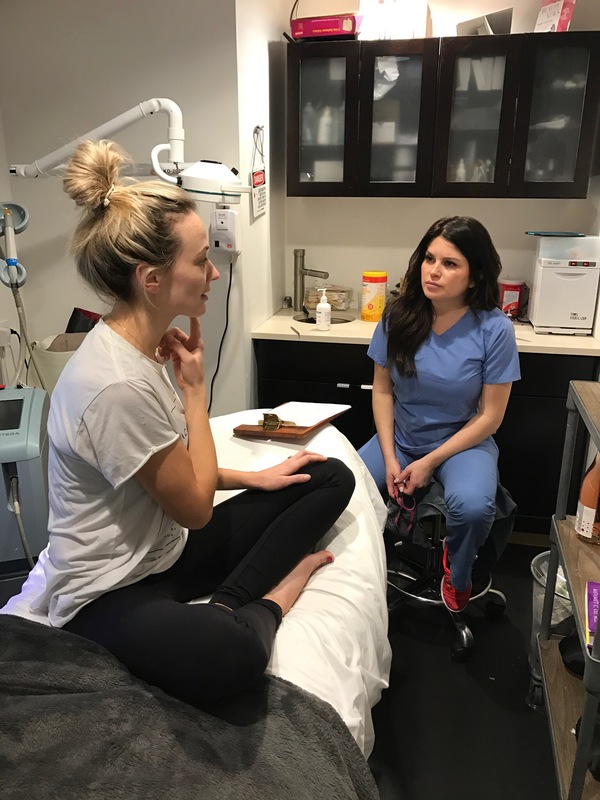 After arriving at Angel’s Cherry Creek office, I immediately sat down and began telling her everything that bothers me about my skin. She immediately recommend Laser Genesis. Laser Genesis is safe for all skin types in both men and women and is proven to stimulate collagen production. It is completely noninvasive and has been proven to shrink pores, reduce redness, improve texture and help slow down the aging process. 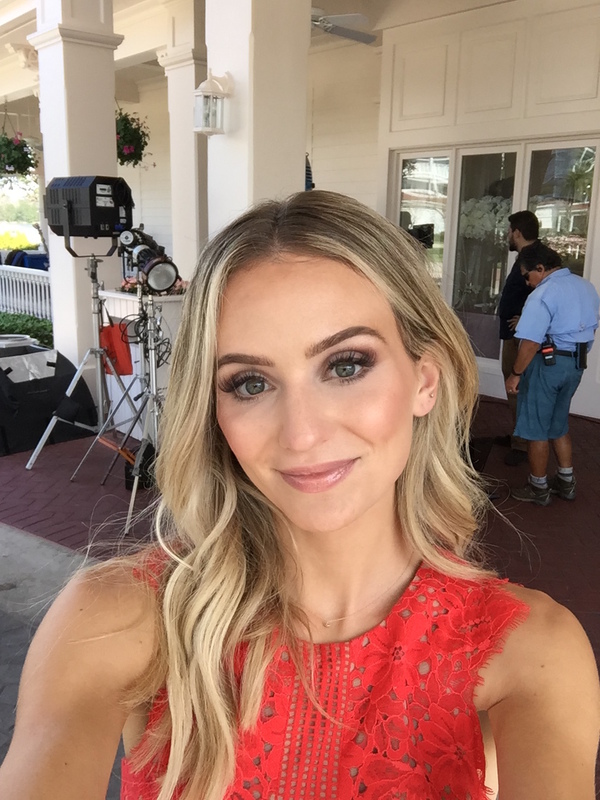 I recently saw Angel for a treatment two days before filming a new show we are hosting on Freeform called Disney Fairy Tale Weddings. TWO DAYS and I was in front of a camera. There is literally no down time, quite different than a chemical peel. 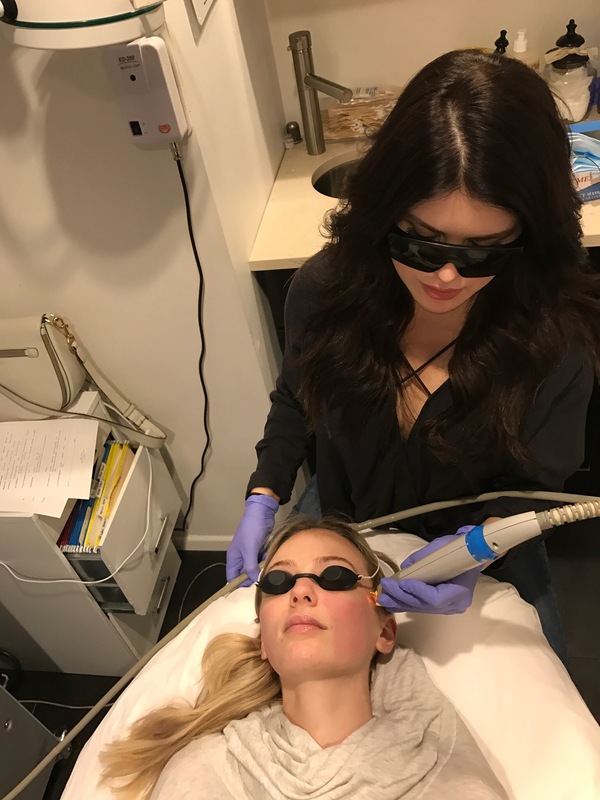 Angel combined the Laser Genesis with Dermaplane which is the process of removing the “peach fuzz” from the face while also getting rid of dull, lifeless dead skin. These two treatments together took about 25 minutes! Angel named this combo the “Rose Glow”. Clever, Angel. Very clever. This is not an ad for Laser Genesis by any means. I wanted to share with you all this treatment and my experience with it. Overall I could not be happier. My skin felt hydrated, plump, and glowing after just one treatment. While filming here in Orlando I got countless compliments on my skin. I do invest a lot of time into my at home skincare routine (see my latest post here) however there is only so much you can do at home. It’s always good to combine professional skincare with at home, daily care. If you are a Denver local I HIGHLY suggest you see Angel or search for a professional in your local area specializing in Laser Genesis. « Does your skin feel dry & dull? How often do you get professional face treatments?! 30 min facial once a month and laser treatment/dermaplane twice a month! Your skin is glowing, so jealous! I love skin-care and I am so glad you’re sharing all of your secrets! Great post! Lauren your skin looks amazing! Does this treatment hurt at all or is it virtually painless? This is the post I’ve been waiting for!! Please share next time about which facials you most enjoy. Your skin is flawless and I can’t wait to try your suggestions. Thanks Lauren! Lauren you are so beautiful, thank you for sharing! I wanted to know where your dress is from? I saw it and fell in love. Keep being amazing! Wow you skin look so fresh , love your make up free look. Lauren I love your blog and you always look amazing! Can you tell me what lip color you’re wearing in the first photo with Ben? I would also love for you to do a makeup tutorial! Thanks! Where do you get your lashes done? They look amazing!!! Ahhh, my skin needs a boost! This looks fantastic!